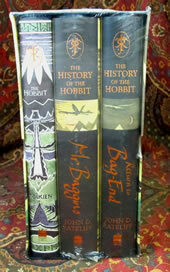 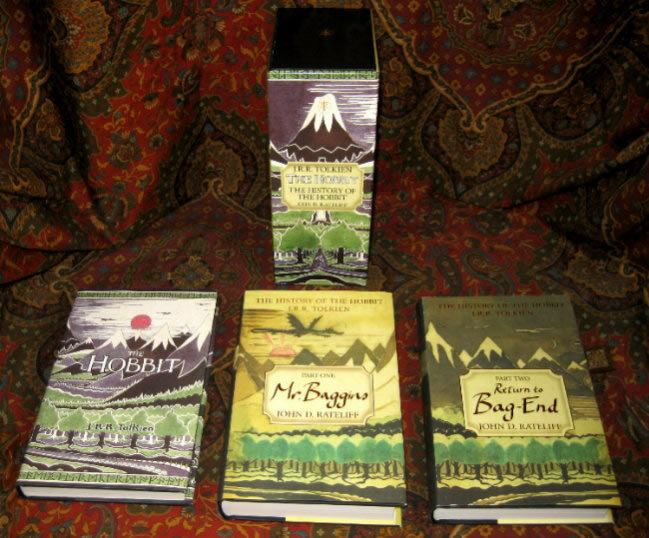 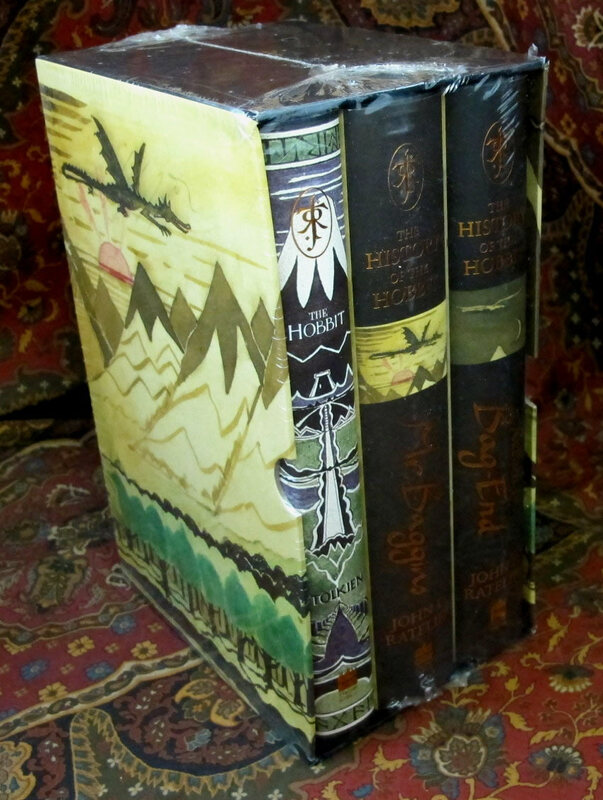 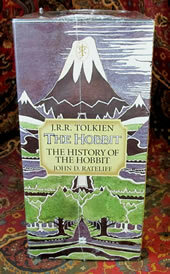 The History of the Hobbit, sealed box set from Harper Collins, 1st UK Edition. 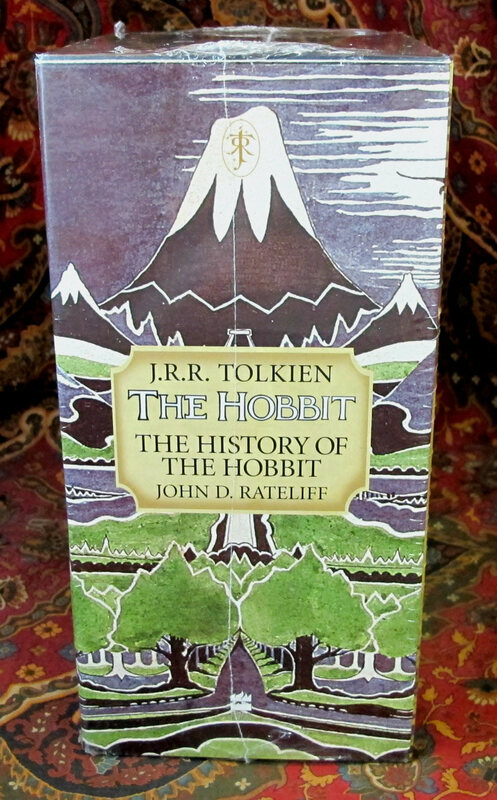 A beautiful boxed set of the definitive examination of how Tolkien came to write his original masterpiece, including the complete unpublished draft and little-known illustrations and unpublished maps, along with a new edition of the classic work itself. 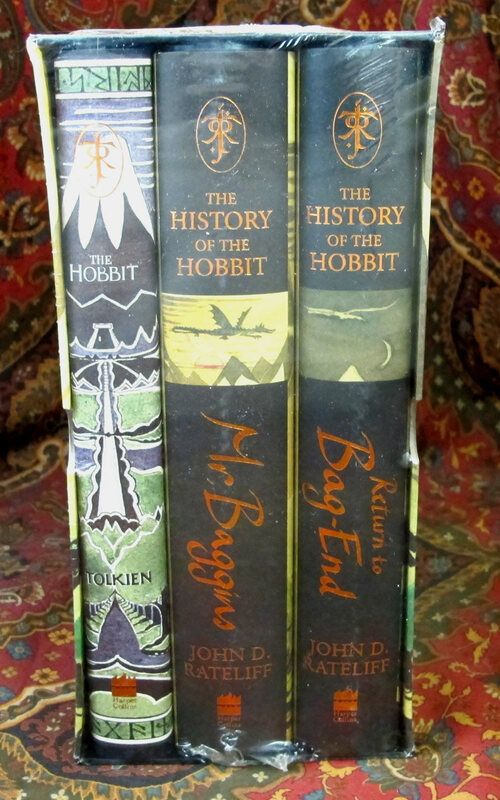 These books are still sealed in the original publishers shrinkwrap. 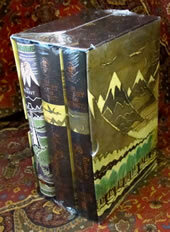 Dustjackets and books are in As New condition, no faults whatsoever. 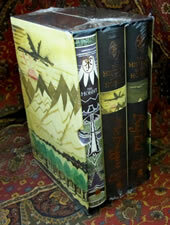 Photos of open books are from another identical opened set.